Vanderbilt University Chancellor Nicholas S. Zeppos announced today that he will step down as the university’s eighth chancellor on Aug. 15 after more than a decade in the role. Zeppos plans to take a yearlong sabbatical before returning to the faculty as professor of law. “I truly love Vanderbilt and serving you has been a privilege. Yet my health is presenting challenges that demand my focus, with the love and support of my family,” Zeppos wrote in a message to the Vanderbilt community April 2. “Passing the torch of leadership of this great university from one chancellor to another is never easy but it is inevitable, and I do so with full confidence that the ninth chancellor will take full advantage of the strong foundation that has been built and chart a path to further greatness with you. “Staying true to our mission of teaching, discovery and service has guided my efforts, and with help from a world-class faculty, an extraordinary staff, the best alumni network anywhere, an incredible student body, and a wonderful Board of Trust, we’ve worked hard to make the past decade one of exceptional progress on many fronts,” he continued. 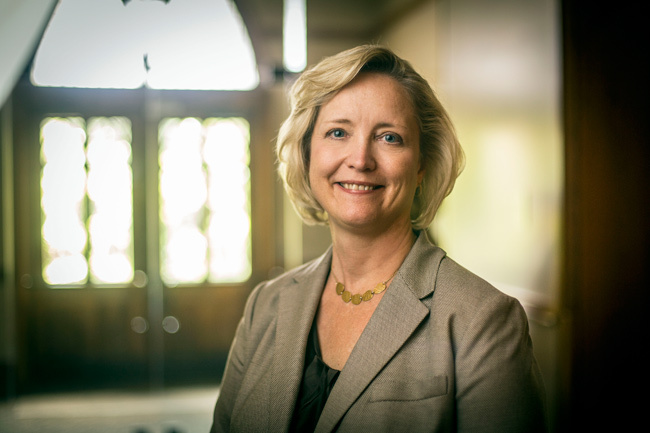 The board has voted to appoint Provost and Vice Chancellor of Academic Affairs Susan R. Wente as interim chancellor beginning Aug. 15. A national search, led by Board of Trust Chairman Bruce R. Evans, will be conducted for Zeppos’ successor. 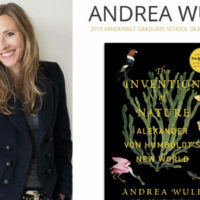 A distinguished biomedical scientist, Wente was appointed provost in 2014. In that role, she oversees faculty, staff, programming and initiatives for Vanderbilt’s 10 schools and colleges. She leads implementation of the university’s Academic Strategic Plan and also oversees student affairs, housing, admissions and financial aid. She is the first woman to serve as provost and will be the first woman to serve as interim chancellor. She will continue serving as provost and vice chancellor for academic affairs while interim chancellor. In his message, Zeppos emphasized the role that a close adherence to the university’s mission and values has played in Vanderbilt’s success and will play in its future. Zeppos was named Vanderbilt University’s eighth chancellor on March 1, 2008, after serving for seven months as interim chancellor. 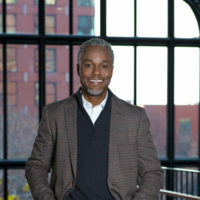 He joined the Vanderbilt faculty in 1987 as an assistant professor of law, and then spent the next 21 years serving the university in various roles, including professor, associate dean of Vanderbilt Law School, associate provost for academic affairs, vice chancellor and provost. Driven by a commitment to access and equity in education, in 2008 he led the launch of Opportunity Vanderbilt, the university’s pioneering financial aid program, which replaced loans with scholarships. 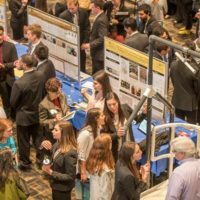 Over the past 10 years, Opportunity Vanderbilt has supported 10,000 students and raised more than $400 million in gifts, resulting in the recruitment of the most accomplished and diverse students in the university’s history. Today more than 65 percent of Vanderbilt undergraduates receive financial aid. 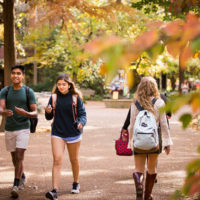 Zeppos has placed a constant focus on ensuring Vanderbilt is a welcoming and inclusive environment. He created the role of vice chancellor for equity, diversity and inclusion and chief diversity officer and has been an outspoken advocate for the university’s imperative to ensure it fosters opportunities, respect and safety for all. In 2016 he ended a decades-long controversy by removing the name “Confederate Memorial Hall” from one of the university’s residence halls. Over the past two years, he has led efforts to honor and tell the stories of university trailblazers, including Perry Wallace, who broke the color barrier in SEC basketball. Investing in faculty advancement, recruitment and retention have been priorities for Zeppos. Recognizing the importance of faculty support, during his tenure the number of endowed chairs more than doubled from 200 to 426 today. He also initiated the new Chancellor’s Faculty Fellows program, targeting endowed support for the flourishing of mid-career faculty. Zeppos was instrumental in planning and executing Vanderbilt’s residential college system, including The Martha Rivers Ingram Commons, Warren and Moore Colleges and E. Bronson Ingram College, with three additional colleges underway and planned—all designed to reinvent the student residential experience to educate the whole person. He also launched FutureVU, the university’s land use planning process, to take a holistic approach to the development of the campus footprint in a manner that contemplates the completion of an undergraduate residential college system and that ensures accessibility, sustainability and the creation of spaces that foster community and learning. A foundational achievement during Zeppos’ tenure occurred in 2016 when he led the historic transition of the university and Vanderbilt University Medical Center into two separate legal and financial entities, a prescient restructuring that has positioned both institutions for long-term success. In Zeppos’ time the endowment has increased from a low of $2.9 billion after the financial crisis of 2008, to $6.4 billion. 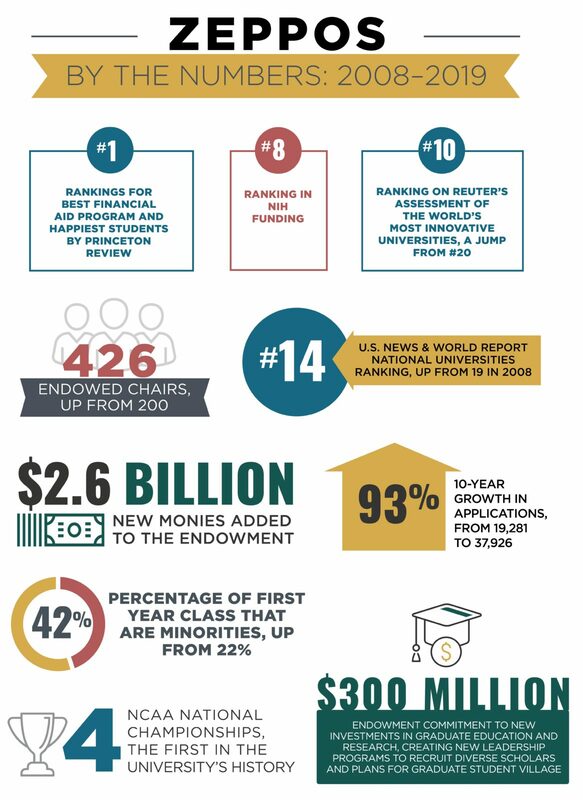 This includes, outside of investment returns, $2.6 billion in new monies added to the endowment during Zeppos’ tenure. 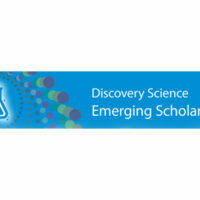 Additionally, Zeppos has been a national voice for higher education and the essential value and impact of academic research at the state and federal level, successfully defending critical funding for research and education and fighting back against legislative efforts that threatened to undermine the mission of America’s leading research universities. In 2015, he co-chaired the bipartisan U.S. Senate Task Force on Government Regulation of Higher Education and conducted the foremost national study on the high cost of regulatory burdens on America’s research universities. Tied to those efforts, Zeppos has been a staunch advocate for increasing public awareness of the groundbreaking research taking place at Vanderbilt and other research universities. 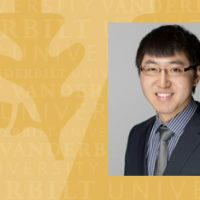 He elevated the university’s communications efforts with a strong emphasis on telling the stories of impact of Vanderbilt’s exceptional faculty, students, staff and alumni. This included the launch of the Chancellor’s Public Voices Fellowship Program in 2018 to expand awareness of faculty research by pairing communications expertise and resources with faculty experts in a variety of fields. Strong support for free speech and civil dialogue with a diversity of opinions and perspectives also marked Zeppos’ tenure and his overall vision for campus culture. To promote inquiry and dialogue, he has hosted a range of globally renowned speakers from all sides of the political spectrum and a variety of disciplines, including President George W. Bush, Vice President Joe Biden, former Georgia House minority leader Stacey Abrams, former U.S. Sen. Jeff Flake, leading cancer researcher and author Dr. Siddhartha Mukherjee, among many others. A leader in college athletics nationally, he is a member of the Knight Commission on Intercollegiate Athletics and previously served as president of the Southeastern Conference Executive Committee. Zeppos has been recognized with multiple awards, including INSIGHT Into Diversity magazine’s Giving Back Award in 2016, the Tennessee Tribune’s “Person of the Year” in 2016 and the Jack C. Massey Leadership Award from Mental Health America of Middle Tennessee in 2011. 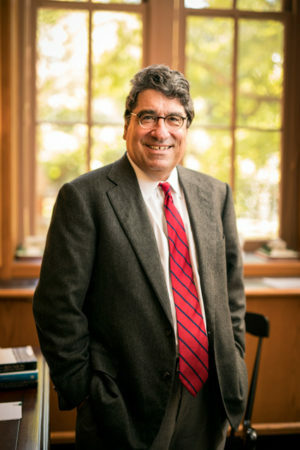 Since October 2018, Zeppos has served as the chair of the Association of American Universities Board of Directors and serves on the boards of the Consortium on Financing Higher Education and Vanderbilt University Medical Center, and co-chair of the United States Senate-appointed Task Force on Government Regulation of Higher Education.